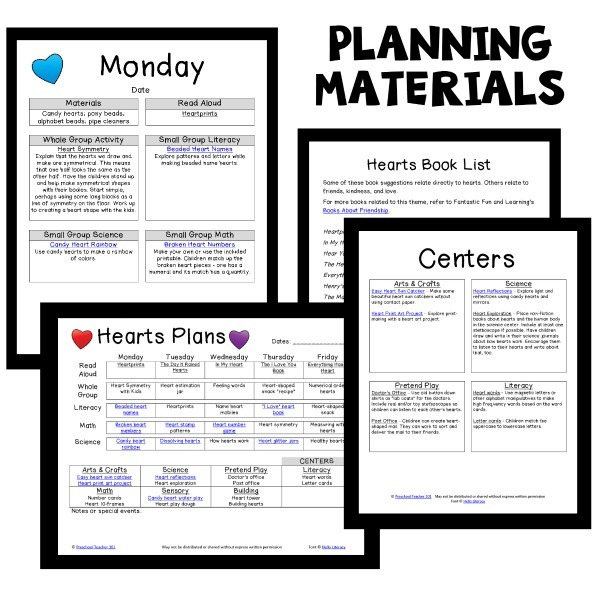 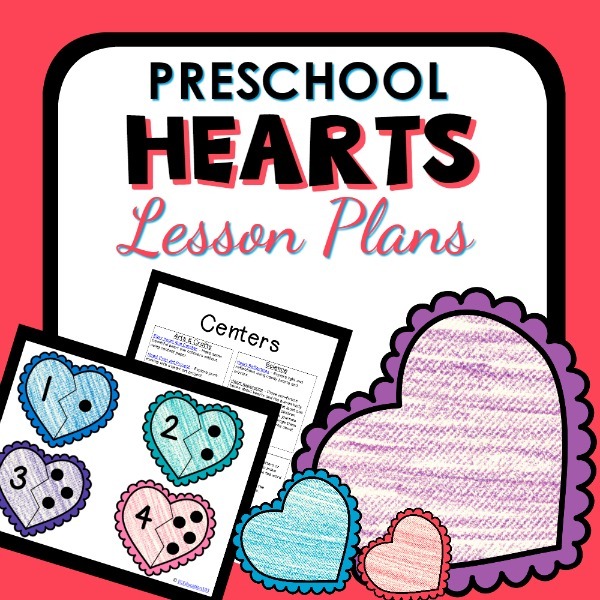 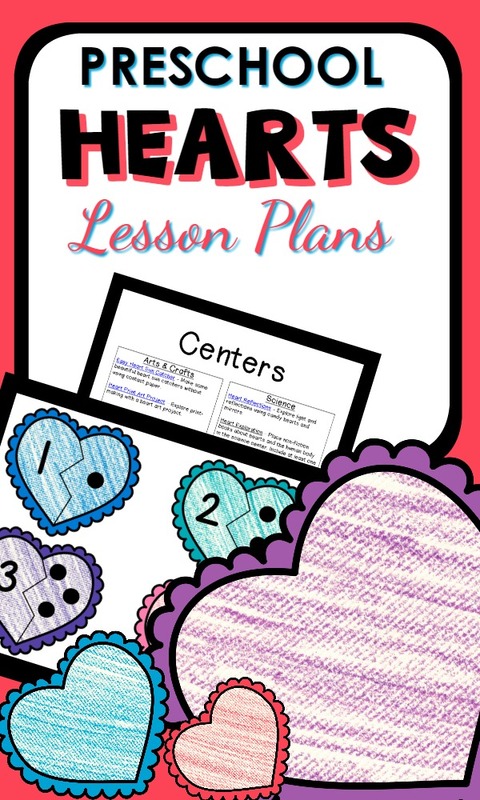 In this heart theme lesson plan pack for preschool kids will learn about symmetry, healthy hearts, and more through playful math, reading, and science activities. 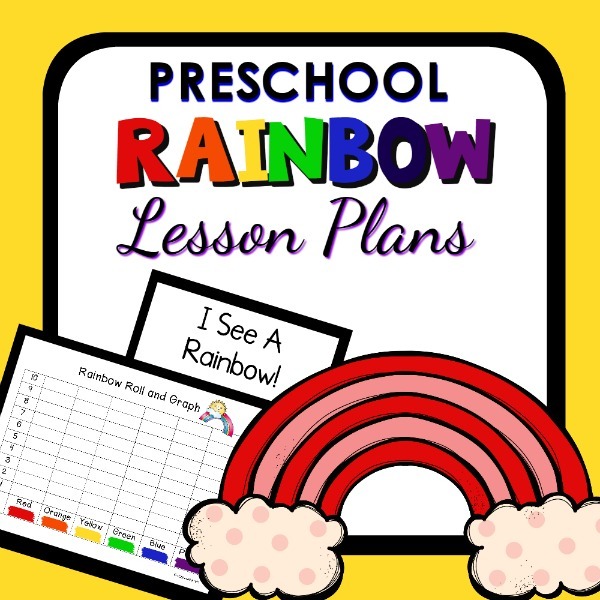 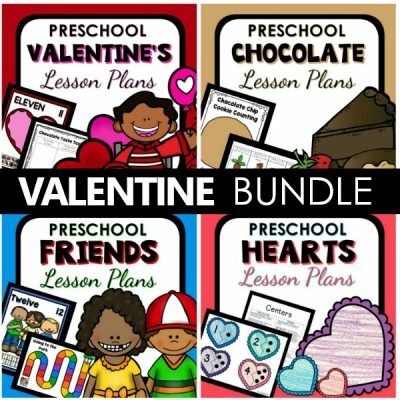 IMPORTANT: This set is part of our VALENTINE Theme Preschool Lesson Plan BUNDLE. 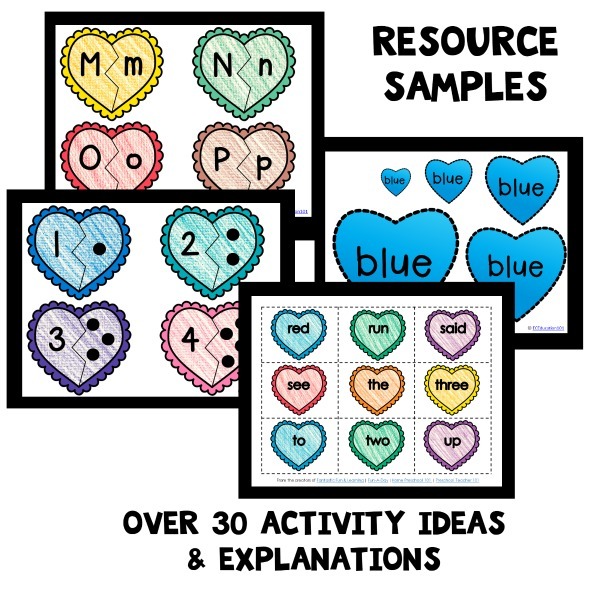 Save 25% by buying all sets together.